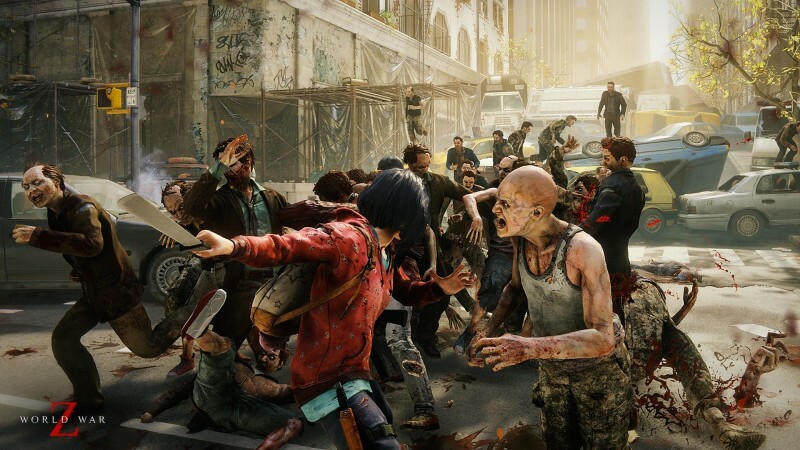 A video game adaptation seemed inevitable, and now Focus Home Interactive and Saber Interactive are less than a month away from unleashing their interactive take on World War Z. I recently played an extended segment of the game to see how it's shaping up. Here are the big takeaways. 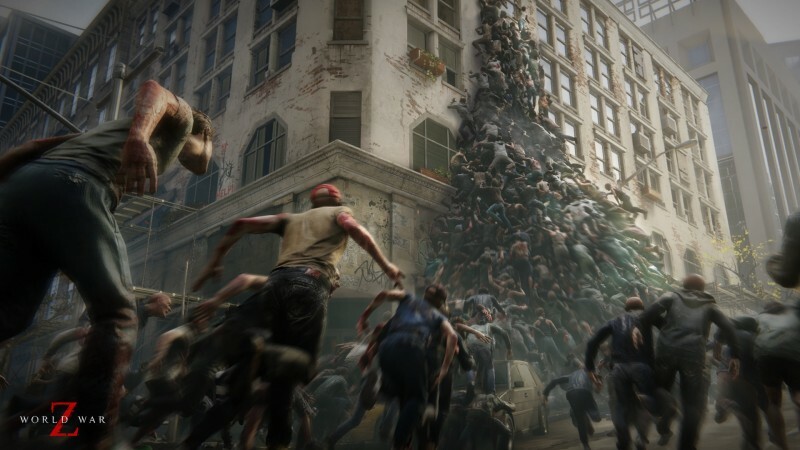 Saber Interactive convinced Paramount to endorse a video game adaptation of World War Z, but the studio knew development could get tricky trying to recruit A-list stars like Brad Pitt to make the crossover. Instead, the studio found inspiration in the original book, choosing to avoid Hollywood complications altogether and opt for a short-stories approach. Each of the four episodes is set in a different part of the world and stars a unique group of four survivors. The base game takes players to Jerusalem, Moscow, New York, and Tokyo, and each location has three levels that tell the story of how these survivors game together. 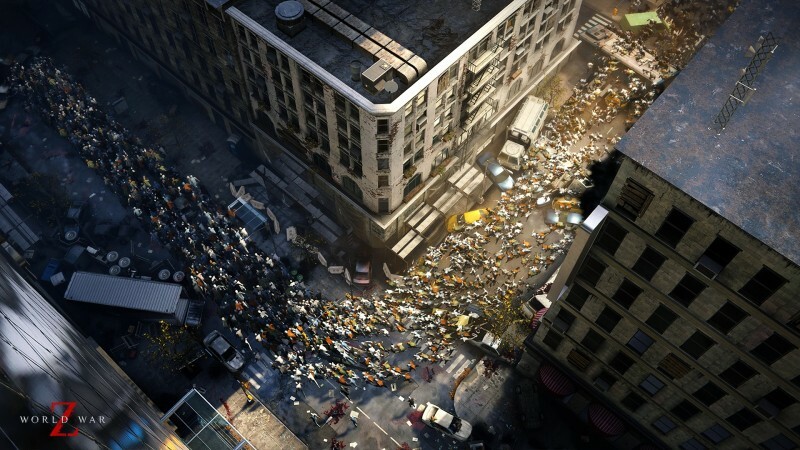 When Saber Interactive set out to build a World War Z game, the team knew it wanted to flood the maps with zombies so it looked like the movies. The problem was none of the third-party engines they considered could handle that without significantly compromising graphical fidelity. Rather than settle, Saber instead built a new engine from the ground up. The Swarm Engine is purposefully built to handle up to 500 zombies on the screen at one time. These zombies don't mess around. A high volume will pile up to clear vertical obstacles and charge at you with wild abandon. Untended swarms will often form a thick ring of death around you, but Saber handily relocated the melee attack to the right bumper so you can pull out a machete (or another melee weapon) and start hacking away without having to swap out your weapon. Every level has at least one swarm encounter where the zombies pour in by the hundreds and the squad needs to hunker down and take care of business. When facing these overwhelming odds, it's smart to set up some defense kits like machine-gun turrets and mortars to cut through their ranks. 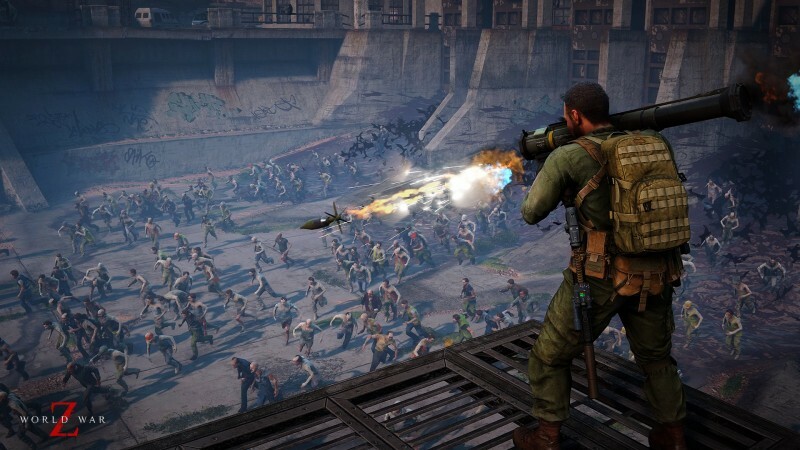 A four-player cooperative experience, the World War Z campaign is built around teamplay. 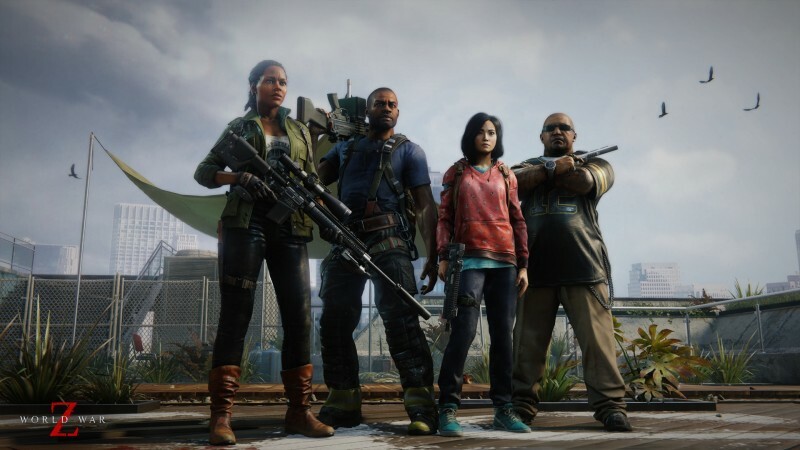 As with other team-centric experiences like Payday and Left 4 Dead, your group won't last long if it doesn't stick together. Certain special enemy types require more coordination than others. Lurkers pin players to the ground. Bulls charge into the group and deal massive damage. Screamers can attract more enemies to the location, and hazmats drop stink bombs that drain health. Taking care of these special enemies when they appear should be the priority before laying waste to the dozens of regular zombies charging your position. 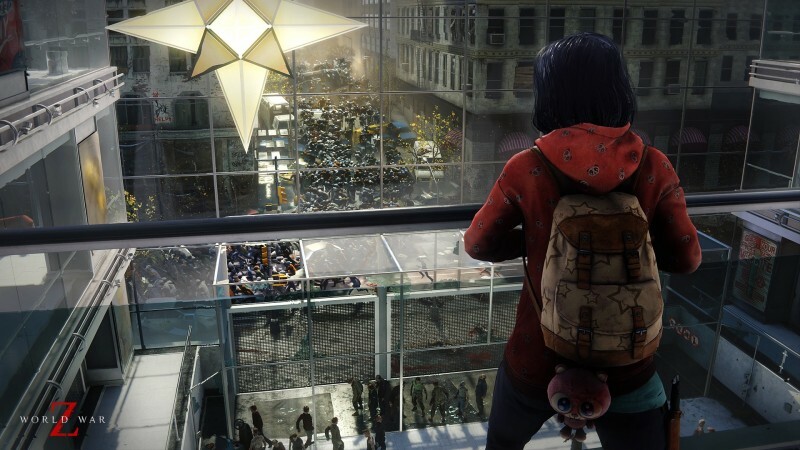 Since World War Z throws a lot of enemies at you at once, Saber isn't interested in creating a resource-scarce environment. A healthy amount of ammo and resupply points are provided in each level, but an A.I. director keeps squads on their toes. Saber designed each level, but several variables like equipment drops and obstacles are randomized each playthough to make the missions replayable. Saber also recorded four variables of each line of dialogue for the characters to keep the game feeling somewhat fresh. If your group handles the swarm with ease, you can test your mettle with five difficulty levels. Each time you up the difficulty friendly fire becomes more damaging, so it's important not to cut in front of your teammates. 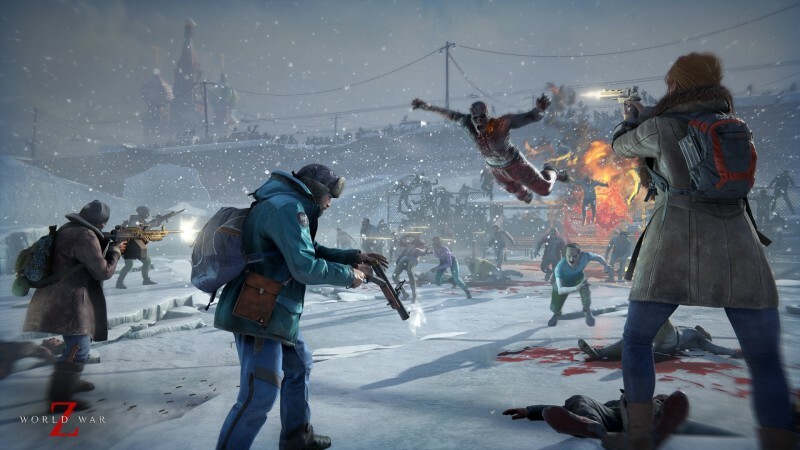 World War Z caters to many different playstyles with the five character classes. The gunslinger is your classic assault class, armed with an automatic rifle and grenades. The fixer is a support role that can drop supply crates with explosive damage and boost the damage rating of the squad. As you'd expect, the medic is the healing class, but it can also give boosts to the squad's resilience. The hellraiser is a demolitionist armed with explosives like remote detonated C4. Armed with a shotgun and molotov cocktail, the exterminator is all about the crowd control. You earn in-game currency by performing well in missions, which in turn lets you customize your experience by purchasing perks for each of the classes. Weapons also have their own progression path, and you can unlock new versions of each weapon. For instance, you could choose to buy a silenced assault rifle if your squad wants to move stealthily, or you could unlock a version with an ACOG scope and more stopping power. 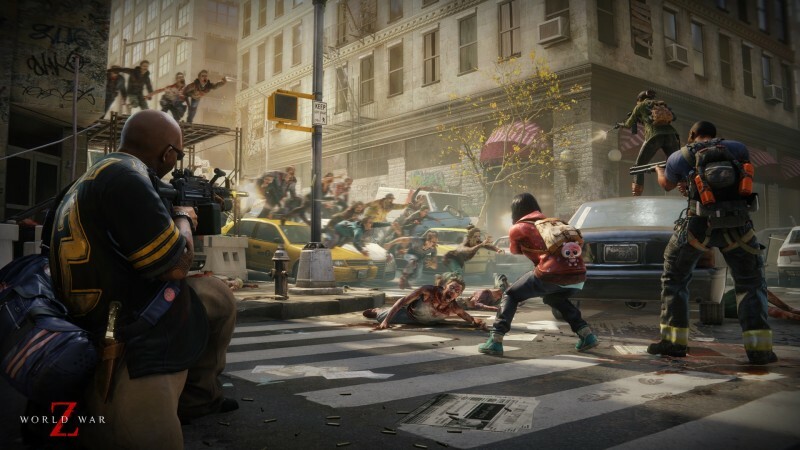 In addition to the cooperative campaign, World War Z supports eight-player competitive multiplayer in five different modes. However, these aren't just pure versus experiences; don't be surprised to see a zombie horde descend on the position in the middle of a match. The battles then become a juggling match of strategic priorities. Do you team up with your competitors to vanquish the invading horde, or do you keep your sights trained on your human enemy? 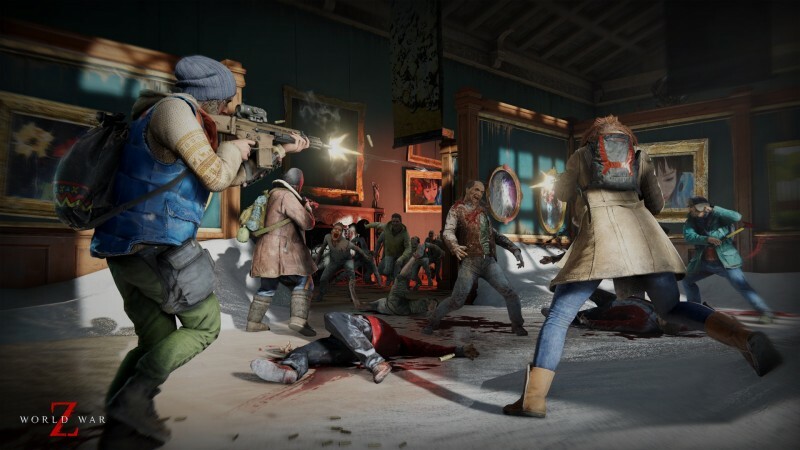 Cooperative games like Left 4 Dead and Payday tend to have long tails if supported right by the developers, and Saber Interactive is very aware of that fact. When I asked about post-release content, I was told they plan to extend the life of the game with new stories, characters, settings, and competitive game modes. World War Z releases for PS4, Xbox One, and PC on April 16.